In the Old Market area of Siem Reap you can find almost anything. One of the things that stands out are its craft stalls and souvenir stalls that compete with faux shirts and other garments. For those ve are discovering Southeast Asia we often find it difficult to distinguish crafts from different countries as they are often quite similar except for certain details. Despite this, in countries like Thailand, you can find Buddha figures carved out of wood, images of the spectacular temples of Angkor, clothes with bright colors and bright, lucky charms, fabrics, paintings, etc . The Old Market area is not too bright at night except for the area of ​​pubs and restaurants where the neon lights are so bright. One of the most enjoyable experiences in any Asian city is to visit the markets. 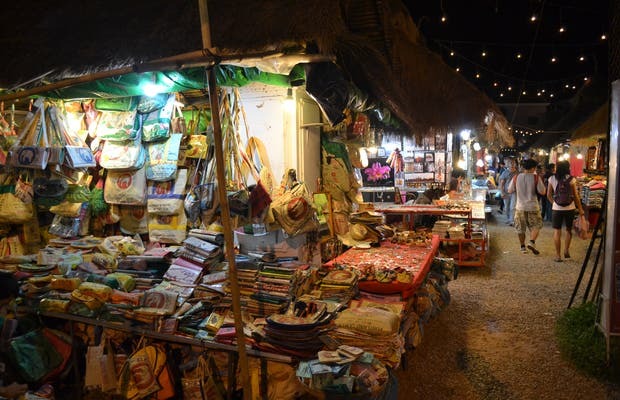 The Psar Chaa, the central market of Siem Reap, is in the city center surrounded by food stalls, restaurants, small hotels, tuc-tucs ... In the market you can find everything: stone carvings, wood, silk, clothing, jewelry, all kinds of crafts ... Part of the market sells food (meat, fish, vegetables, spices .. ) where local restaurants buy raw materials for their kitchens. Ah! It essential to haggle!